At least 910 agencies now own one or more drones. Which types of Public Safety Agencies have been adopting drones? While this growth has been mostly in law enforcement and police drone, there has also been significant adoption among Fire departments, EMS and Emergency Response, Emergency Management Agencies and Statewide Agencies. Is there a difference in drone adoption by the size of the Public Safety Agency? Smaller agencies, with fewer resources and covering larger territories have been the largest adopters of drone technology. Almost half (48%) of the agencies adopting drones had fewer than 100 employees. Which drone manufacturers do public safety agencies use? As we have reported before on consumer and hobbyist drones, the manufacturer of choice among public safety drones is the market leader DJI. DJI drones represented almost 87% of those registered by Public Safety Agencies. Yuneec and Physical Sciences were dramatically smaller providers with 5.1% and 2.3% of the market. Which drone model do public safety agencies prefer? The DJI Phantom family alone represented 40%, while DJI Inspire accounted for another 32% of the total. Which states have shown the highest adoption of drone use by public safety agencies? Texas, California and Wisconsin are the states leading the pack in drone adoption among public safety agencies. Are the top adopting states, also the states with the top consumer and professional drone usage? The top 10 states where Public Safety Agencies have embrace drone technology are mostly the top 10 states where Drones were registered by consumers and hobbyists, except for Wisconsin, Indiana and Alabama. These three states were among the top 10 with Public Safety Agency drone adoption, ahead of their consumer adoption. New York, Michigan and Washington show much faster adoption among consumers and hobbyists, ending up in the top 10 list there, but lagged on Public Safety adoption. Where are the most drone incidents reported today? It is surprising that New York Public Safety Drone adoption wasn’t higher given it’s the 3rd highest rate of Drone Incidents among states. How are the public safety agencies funding their drone purchases? Only a small portion of the drones used by Public Safety Agencies come from budgeted funds (only 10%). Another 15% have come from purchases using forfeited funds. The vast majority of the agencies are acquiring drones through donations (46%). We would expect that trend to change over time as the usefulness of drones become integral to the public safety agencies mission. How can public safety agencies find funds to acquire drones? When you are considering adding a Remote Piloted Aerial System (RPAS) referred to as a drone, to your public safety agency tool-set, continue reading the following guide which discusses funding options for acquiring those drones. Police and other law enforcement and public safety agencies across the U.S. are seeing drones as another valuable asset in their crime fighting and first response toolbox. Over the past few years, law enforcement has used drones for a variety of missions. These include surveillance, search and rescue, criminal pursuit, monitoring large crowds, crime scene analysis, drug interdiction among others. Finding the funds to buy the necessary drone equipment, accessories and to pay for staff drone operations training can be challenging. Here’s a variety of grant and other funding opportunities to look at that won’t put a burden on your department’s budget. Homeland Security funding is the most used grant source for public safety drones. Consider applying for Homeland Security Grants if someone will use your equipment for domestic or international terrorism events that threaten your local community or for bomb investigations, crowd monitoring or search and rescue. Most of these federal grants come through your state’s homeland security or emergency management agency, but it bases decisions on the uses of these funds on local planning. Grant applications for equipment that will become a regional asset receive preferential treatment. Justice Assistance Grants are the largest sources of grant money to support public safety and law enforcement equipment and training. Many local municipalities get local Justice Assistance Grants allocated from the federal government based on their share of their state’s three-year average violent crime rates. 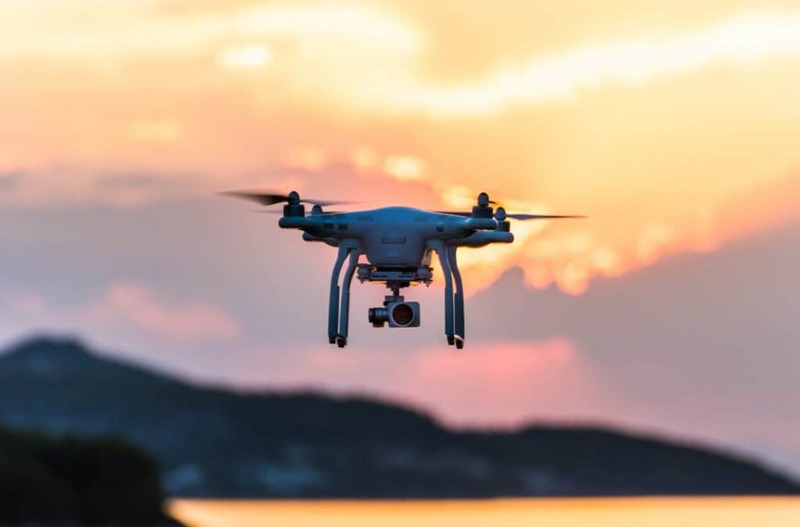 When your county or city receives a Justice Assistance Grant, you should encourage your grant administrators to set aside some of those funds to pay for the training and drone equipment. Each state and U.S. territory receives an annual Justice Assistance Grant for contributions to local and state agencies that don’t qualify for the local allocations. You should work with your State Administering Agency representative to syndicate your needs and to ensure they include those in the next application. Planning to use the drone for accident investigations? Then tap into a great source which is your state’s highway traffic safety funds. The National Highway Transportation Safety Administration hands out these Federal dollars to the states. The Section 402 Grant Program for State and Community Highway Safety has many areas which they focus their support on. These include accident reduction and emergency service enhancements. States offer grants to local law enforcement and other public safety agencies agencies through a competitive application. You should contact your state transportation department to find out how to apply for these funds. If your agency is part of a multi-agency task force in a High Intensity Drug Trafficking Area or Project Safe Neighborhoods district, then drones can be incredibly useful for your mission. They can help with drug interdiction missions and are a valuable part of any violent crime reduction strategy. Encourage the leadership of your task force to prioritize drone funding in their budget requests. Competitive funding for drones is available from the High Intensity Drug Trafficking and Project Safe Neighborhoods programs. Most large corporations across the U.S. based on their own priorities, have foundations or “giving programs” offering grants or donations. Often, the priority is supporting the local community in which they are operating. Contact the managers of corporate offices in your area. They can help you to determine what funding is available and how to get access to those funds. Don’t forget to check the companies’ website. These are frequently a great source which highlights information about their grant or community giving programs. Big box retailers such as Sam’s Club, Target, and Walmart, among others, may offer grants to support public safety and community welfare. Firehouse Subs also gives grants for law enforcement, police and fire, and first responder equipment across the country. National freight railroad companies such as BNSF, CSX, and Union Pacific, all administer grants focusing on keeping the communities safe where their lines are operating. Reach out to your local bank, utility company or grocery store. Many of them have grant programs operating within their corporate affiliate. Many law enforcement agencies have access to and are using asset forfeiture dollars to support purchases of drone equipment, accessories and training. Speak with your department leadership and encourage them to consider using these funds or assets to cover your purchase. Some federal grant programs list drones under the “controlled equipment” category and place restrictions on using federal funding to cover their purchase. The restrictions were removed or relaxed in the last year, but understand and follow the new guidelines set out by the Federal Emergency Management Agency and the Bureau of Justice Assistance when using these grant sources for your purchase. And to prevent misuse, you may need to justify the equipment choices and document you have the appropriate privacy controls in place to get a waiver by the appropriate federal agency. Federal grants application periods are more frequent in the spring and summer, so you want to align your grant request schedule to meet those deadlines. Monitor the links noted in the article for upcoming deadlines. Grants. gov is also an excellent source for staying current on federal grant announcements or forecasted grants. Persistence, following the application instructions and preparing a solid justification letter will get you the drone you need for your important policing and public safety work. What Drone Solutions Should Public Safety Agencies Consider? Sensors, and flight time required will typically dominate the choice of drone system solutions required by public safety agencies. And, drone sensors, gimbals, and software stack can range from thermal imaging, optical imaging, photogrammetry to LIDAR, so we highly recommend a conversation with a specialized drone system integrator to help identify the best fit for your mission. Then you can move onto the selection of the appropriate drone flight platform. Public Safety drone operations or flight missions vary dramatically from requiring solutions that are grab and go for ad-hoc missions to video surveillance flights over a specific location for extended period. The grab and go drone programs can be met by a broad array of available drone choices. At the low end, the readily available consumer drones will have limited customization choices. They will generally have a video or photography sensor pre-installed. At the higher end, the choices of gimbals and sensors which can be attached to the customizable drones are quite varied. Tethered drone solutions are tightly integtrated to provide extended flight times. How Long Will They Fly? Are they IR Thermal Compatible? Are they Zoom Camera Compatible? Are they 3D Mapping Software Compatible? Are they capable of Indoor Flight? Are they Waypoint Mission Capable? What is their Noise Signature? How much Time To Set Set Up? The data was provided by the Center For The Study of The Drone at Bard College. Public Safety Departments and Agencies include Local police, County Police, Sheriff, Municipal Police, Fire departments and EMS, City/County Emergency Management and Statewide Agencies.